You’ll find the new page manager in the left sidebar next to Stencils and Images. We’ve also kept a simplified version for quick navigation in its usual spot — thanks for the early feedback! Projects exported as PDF get to keep their links & hotspots, so you can share interactive prototypes offline. And the Table of Contents conveniently reflects the your project’s page nesting. Shoutout to hacker-in-residence Sergiu for tinkering with Qt’s C++ internals to make this oft-requested feature a reality! Moqups just got a set of bespoke avatars from the lovely Ana Botezatu to complement our Gravatar-powered profile pictures. 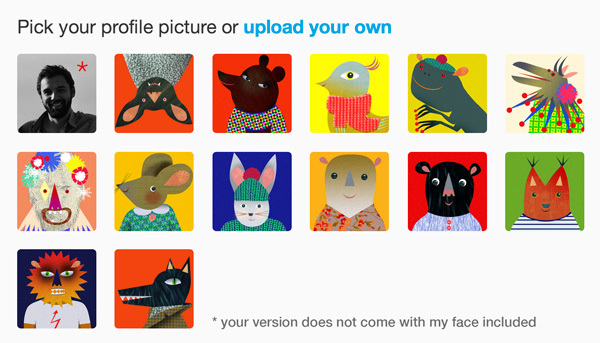 And if you can’t find your animal spirit in the list, you can also upload your own image. You can click the tiny tab under the viewer toolbar do hide all interface elements. We’re working hard on a new version to bring you enhanced maneuverability (object rotation, resizing of multiple objects and groups), more flexibility in styling the default stencils as well as the ability to create custom ones, plus support for web fonts.